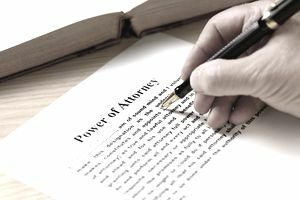 In most powers of attorney, the authority is granted to the attorney-in-fact is effective immediately. That is, as soon as the document is signed, the attorney-in-fact could exercise the powers given in the document. Usually, the principal intends that the powers not be exercised by the attorney-in-fact until the principal (that’s you) needs help. But legally, the authority is granted and effective immediately. Most people would like it if the power of attorney became effective only when they became incapacitated. This kind of power of attorney is called a “springing” power of attorney because it “springs” to life when needed. This sounds good but is fraught with difficulties. The key to a springing power is what event triggers the power’s effectiveness. Some attorneys include language in the power of attorney providing that it only becomes effective if two physicians sign a document that states that the principal is incapable of managing his or her own affairs. Imagine that you are a physician. The child of one of your patients comes to you and asks you to sign a document so that the child can have complete control of your patient’s finances. Are you going to sign it? You probably shouldn’t. If the patient is in an irreversible coma maybe you would feel comfortable signing such a document. But that’s the easy case. What about a patient who is slowly declining? For example, they have good days and bad days, periods of lucidity, and times of confusion. Do you, the medical doctor, give control of the finances to the child? Or the next-door neighbor who is named in the power of attorney? It is easy to see that there might be uncertainty, disagreement or squabbling among doctors and/or family over the degree of the principal's incapacity. To take the medical profession off the hook, we sometimes recommend that another person or family member make the determination of whether or not the power of attorney should be activated. A friend or family member may be more willing to stick his or her neck out, but the problem of third-party reliance remains. All powers of attorney end when the principal dies, unless the document specifies an earlier date. The principal also can change or revoke a power of attorney at any time. If a spouse is an agent, the power of attorney ends when divorce papers are filed. Another word to the wise about powers of attorney; we have found that many financial institutions are refusing to accept powers of attorney unless they are on the financial institution’s own forms. Again, this defeats the purpose of having a power of attorney. However, options are limited if a financial institution refuses to accept the attorney-in-fact’s authority. They can be sued, of course, and we know how much time and money that takes. Alternatively, a guardian can be appointed in court - the very thing the power of attorney was intended to avoid.